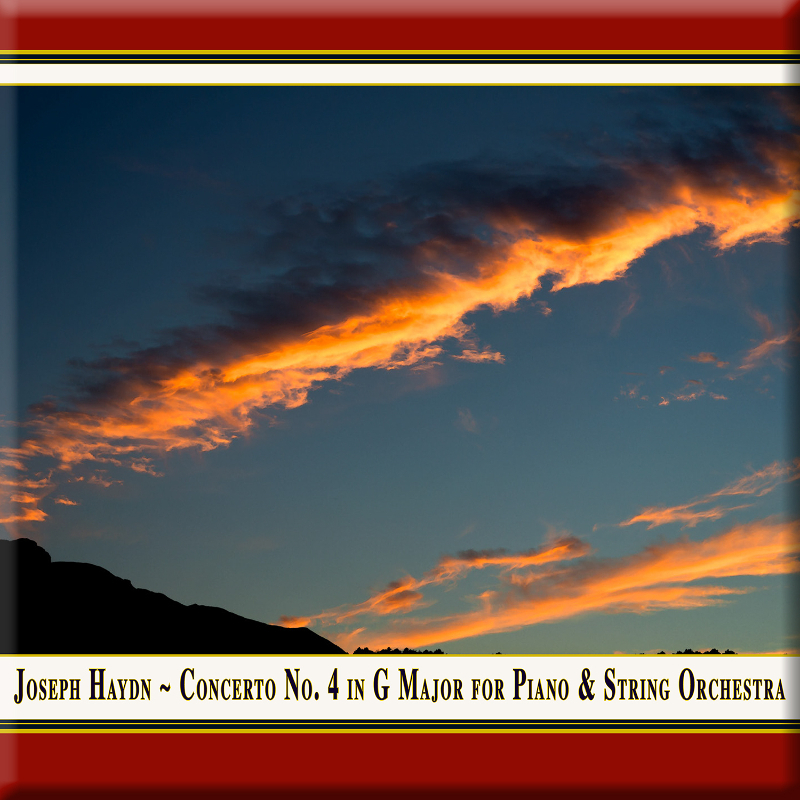 apa Haydn - nothing of the sort! The great musician always knew how to entertain people without using cheep templates filled with gaudy timbres or highly dramatic gestures. For him, joie de vivre is admissible, even desirable. Behind this rhythmic vitality and all the gestures, the master distinguishes and seduces people to superior thoughts, too. Little is known about the creation of the piano concert in G major. Guaranteed is just a date of performance on April 28th, 1784 at the Concert spirituel in Paris with the blind Viennese pianist Maria Theresia Paradis, whom i. a. Mozart composed for. 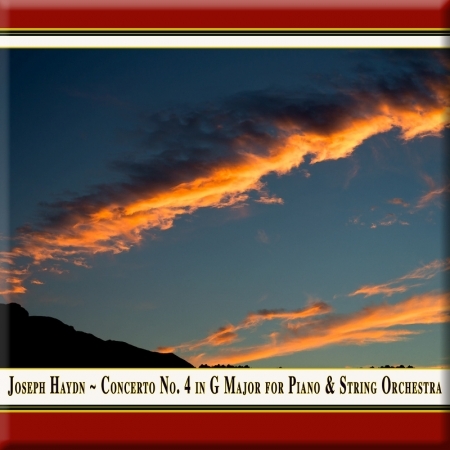 The importance of Haydn as author of concertos is still underestimated in the History of Music. This particular concerto is composed for a string quartet only, without blowers. It comprises a typical, classically built work full of surprises and embellishments. This extent of humor and playfulness will rarely be accomplished by composers later born. astles and palaces have always been stimulating human fantasy, just think of the tales of Cinderella and Sleeping Beauty. These connotations are also shaping musical compositions, in fabulous - simply romantic music. Beautiful creations that are able to express joy, love, sorrow and grief; silence as well as jubilance, melancholia as well as exaltation to today's audience no less that 500 years ago, differing not in time, but in a mode of feeling and perception that depends on composer, artist, performance space and - last but not least - you, dear audience. Therefore we choose the motto "Centuries of Romance" for our "Castle Concerts Series", and, to be honest: castles and romance, that fits quite nicely. ranz Vorraber is one of the internationally renowned interpreters of Schumann. He repeatedly performed the complete solo oeuvre in cycles of twelve concertos and was published it in a thirteen-part CD recording at Thorofon, receiving numerous international awards and honors. Being born in Graz, his studies have been shaped by the First Viennese School and the German School, and he graduated with a soloist diploma and unanimous decoration. 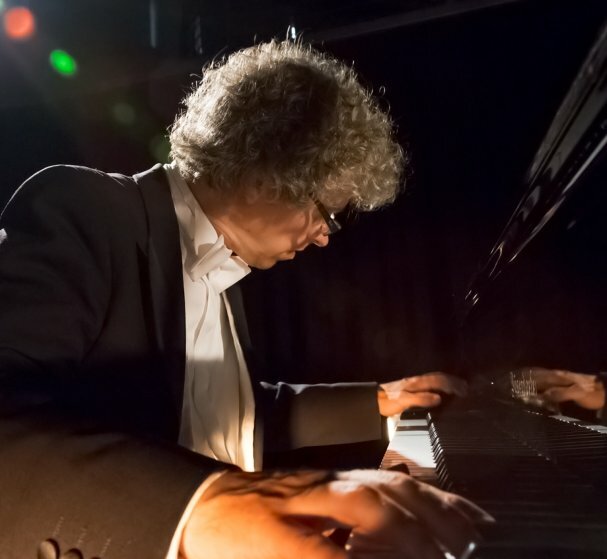 Franz Vorraber was invited as soloist to internationally famous festivals as the Viennese Musiksommer, the piano festival Ruhr, the music festival Schleswig Holstein, the Mozartfest Würzburg, the Mendelson fest in Leipzig, the Klosterfestspiele Maulbronn, the Musiksommer of Chorin, the European Weeks of Passau, the Frankfurter Feste, the festival Santander, the Schubertiade, the Rheingau music festival, the Hohenloher Kultursommer, the Bebersee festival et cetera. He worked with conductors like Dennis Russell Davies, Fabio Luisi, Alun Francis, Gabriel Feltz, Mar Tardue or Marcus Bosch. His repertoire of piano concerts includes 50 different concerts, many of them have been have been released on CD. His own works as a composer have been increasingly performed lately. There have been many premieres of pieces of chamber music at the Mendelson Fest at the Gewandhaus or at the Schumann Fest in Bonn in cooperation with the blowers of the Staatskapelle Berlin and musicians of the Gewandhaus Leipzig. A great success was the premiere of his first piano concerto at the Klosterkonzerte Maulbronn. Some works of piano were published by Thorofon and by K&K Verlagsanstalt, i. a. "Sentences of Love" in cooperation with the poet and writer Peter Härtling. he Castle Concerts Orchestra has been individually assembled by Franz Vorraber due to this production to guarantee the best body of sound possible for the arrangement and the composition. We named the orchestra after our series "Castle Concerts", in which framework this concerto has been performed and recorded.